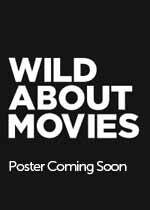 Wild About Movies provides you the most up-to-date 2011 Movies information online. Our list of movies in theaters in 2011 is even more accurate than the IMDB database. Click on any of the 2011 movie posters images for complete information about all 2011 movies in theaters, including trailers. We provide the complete list of 2011 movie releases by week of release. Best movie studio publicist 2011: Dan Fellman, Warner Bros.
Watch the trailer of Harry Potter And The Deathly Hallows Part 2 above. It was the highest grossing movie at the 2011 movie box office.